A bad beginning makes a great life journey. Each story has a beginning but not every story starts with an instant success. Lyra Chocolate is an amazing example how one needs to get up after every fail – and how every fail makes us stronger and better. In addition, if you truly believe in your dreams and your product you might reach for the stars. At least Lyra Chocolate did reach of to the stars, wrapped in a delicious journey of a chocolate. Since 2012, Lyra has stood for the highest quality handmade chocolate made in Slovakia. Lyra chocolate made of the finest cocoa beans, criollo and trinitario, grown on the plantations in the Middle and South America, was granted an international award Great Taste 2014. Everything great started in the year of 2009 while visiting plantations in South America and experiencing the world of top quality chocolate. Making quality chocolate meant knowing each farmer, tree, every detail – it means to understand each stage of cocoa’s journey. The story continued with attending special courses in making pralines in Belgium and France, while the Lyra owners came up with their own chocolate recipes and a line of 80 products. It takes weeks to make them up and hours to produce them. Some of them have won the Great Taste Award, thus becoming one of the best chocolate in the world. Then, there is this Karol Styblo, one of the four people in the world with a title of Fino de Aroma Master Chef Chocolatier, who takes care of the whole work. Lyra is returning to the nature represented by a musical instrument – a lyre and by a lyrebird, who can mimic thousands of sounds. This is what Lyra chocolate and the people behind it want to be – bright, joyful and bonded to nature. They stand by the personal work, fewer ingredients and to have the real people behind each chocolate bar. Lyra chocolate is handmade with Fino de Aroma cacao that has careful treatment at each step of its processing, from harvesting to roasting and making cocoa mass. If they wish to change the taste, they can easily do it. Just right there, in the tree. The bars feature a small, centered graphic of a cocoa pod, indicative of the pure ingredients used to create it and golden stamping in the middle to distinguish. The new design goes hand in hand with the essence, the taste itself. We believe each company wish to have its own chocolate. At least theoretically. At Lyra chocolate everyone may product chocolate. 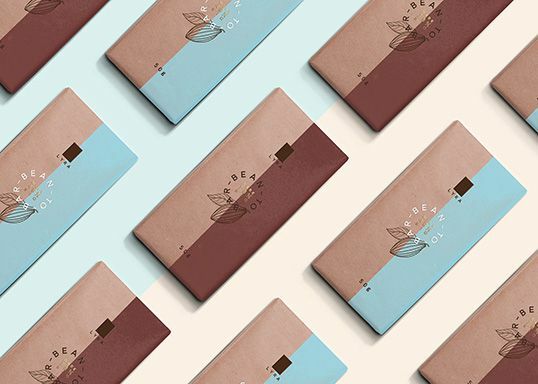 One only needs to choose the right chocolate size and preferable combination of flavours, and Lyra team will pack it for you in your own packaging. Their products are tailor-made. Just tiny ones for a coffee time or big ones to have a pleasant company for hours. It is up to you how much time with chocolate you will give someone as a gift.